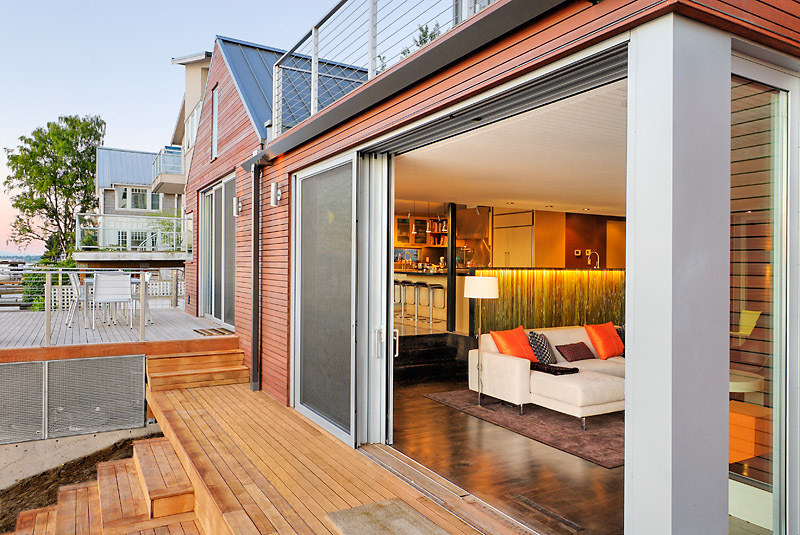 Situated on the north end of Lake Washington, this house was an old cottage that the clients wanted to remodel, keeping the friendly scale and casual beach feel of their house while creating more room and brighter, contemporary spaces. The answer was to add 400 square feet of ground-level space and a 1,000-square-foot second floor, then wrap the entire home in a new double skin. The inner skin is composed of cedar and glass, imparting warmth and transparency, over which is a protective shell of steel that can weather the damp lakeside climate. Inside, tranquility reigns and light is celebrated. Large glass sliders and windows throughout the house blend the lines between indoors and out. 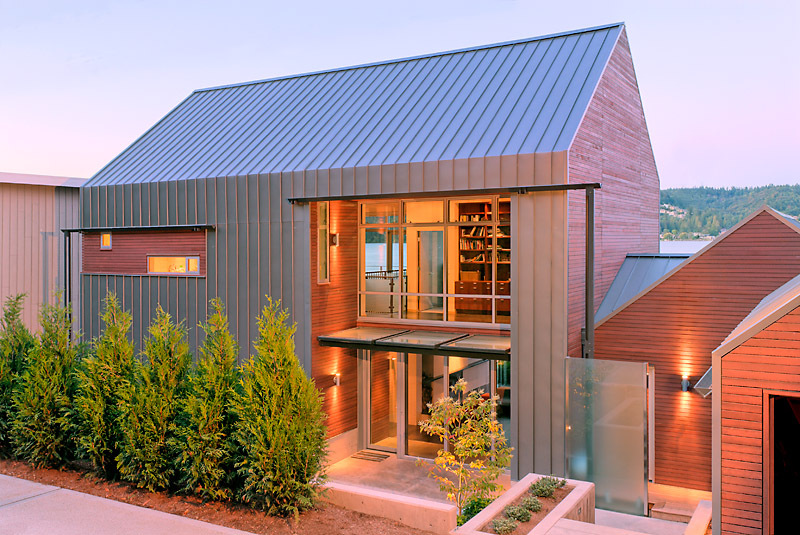 Interior materials and colors reflect Lake Washington’s changeable waters. 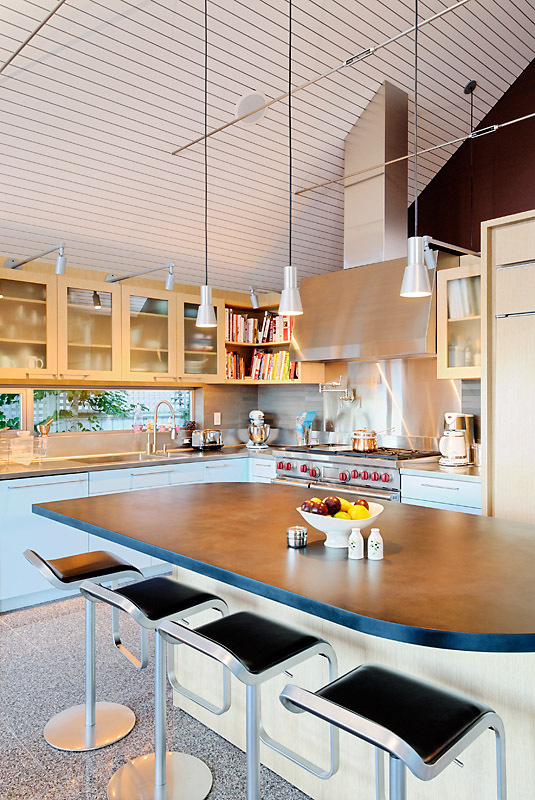 The pale slatted ceiling in the living room and kitchen acts as a counterpoint to the dark wood flooring. 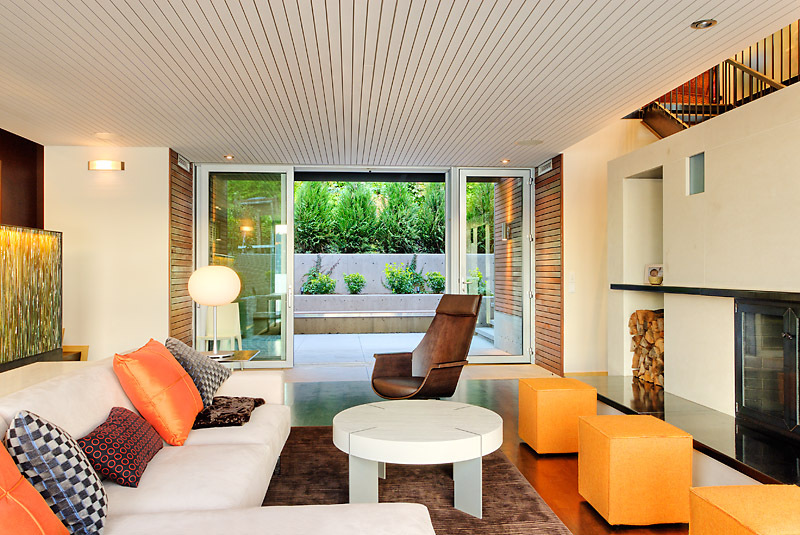 A modern limestone fireplace is a backdrop to the steel rods of the stair rail. Throughout the house, transparent and translucent glass diffuses the play of sunlight on the water.